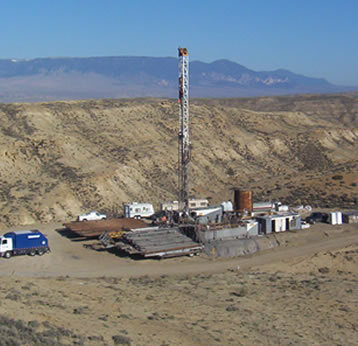 Voyager operates oil and gas fields in the Rocky Mountain Region and develops prospect specific exploration projects. Voyager’s corporate strategy is to maintain several core areas at a given time where there is a production base and exploration projects within the same area. A production base is desired in core areas because it makes the retention of exploration project operations more feasible. The Company develops exploration projects in its core areas for itself and or finds industry partners to pursue the exploration models. Voyager is a firm believer that small companies operate smaller assets better than large companies and vice versa. Consequently, if a core area reaches a critical mass that would be of interest to a larger independent, Voyager usually explores the divestiture of that core area to a larger company that is more suitable for operating the specific area for a long term.